Keep making that face and it might get stuck like that! We've all heard this line from a parent or an older sibling, but we bet you've never heard it from your doctor. You heard it here first—keep wearing those shoes and your toes might get stuck like that! It’s time to bring the hammer down on your hammertoes. If you’re consistently squishing your toes into improper shoes, your toes may become bent and never straighten out. Whether you're embarrassed or in pain, the experts at Foot Doctor of the East Bay, will hit the nail on the head when it comes to finding the best treatment for your feet. This deformity typically affects the second, third, and fourth toes. It bends them in such a way that they do, in fact, take on a hammer-like shape. In its early stages, the toes will remain flexible and can be corrected with non-surgical treatment. However, if left untreated, they may become locked in their abnormal position and require more drastic measures. They often form as a result of wearing improper footwear. Shoes that don't fit properly may cause muscle imbalances that lead to problems with your toes. Your muscles work in pairs in order to straighten and bend your digits, if the toe becomes bent in one position for too long, the muscles tighten and cannot stretch back to normal. Narrow footwear can lead to the toes bending inward and folding in on themselves. If your shoes are too small, or too pointed, the small toes of your foot are forced into a bent position. This friction can also lead to other problems, such as calluses and corns, which only further aggravate hammertoes. Don't confine your feet to ill-fitting shoes, especially high heels. Other reasons for the condition include a stub, jam, or break of the toe. Some cases of hammer or mallet toe are also seen in individuals who have nerve damage to their feet. Nerve damage is often the result of a stroke or diabetes. Don't wait to visit our office. The sooner you catch this deformity, the easier it will be to treat. If your toes are still flexible when you come in, we may recommend a simple change, such as roomier shoes or custom orthotics. Orthotics can help to reposition your toes and relieve pressure and pain. We've also found that simple stretches and exercises to strengthen the toe muscles can be effective. You can exercise your toes by picking up small objects, such as marbles or a thin towel, off of the floor. If at first conservative treatments don't work, or if you've waited too long to make your appointment, more drastic measures may need to be taken. 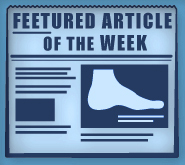 We may recommend surgery to release the tendon that is preventing your toe from lying flat. In some cases, a small piece of the bone may even need to be removed. Just as you'd listen to your mother, we encourage you to listen to your doctor. Don't let your perfect toes become painful hammertoes. Make an appointment with Foot Doctor of the East Bay today! Call us at (510) 483-3390 in Leandro, CA. We also have offices in Los Gatos, and Pleasanton, CA. Until you can make it in, avoid narrow shoes and practice foot strengthening exercises.